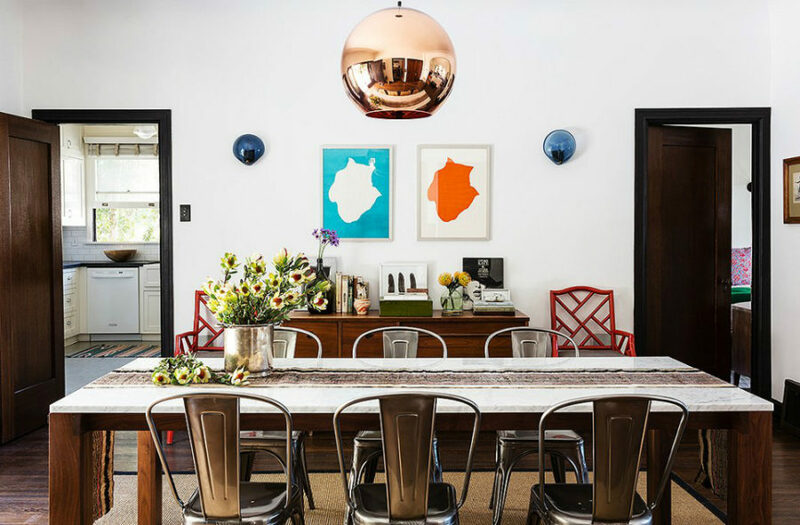 Lighting is the key to gorgeous dining room decor. 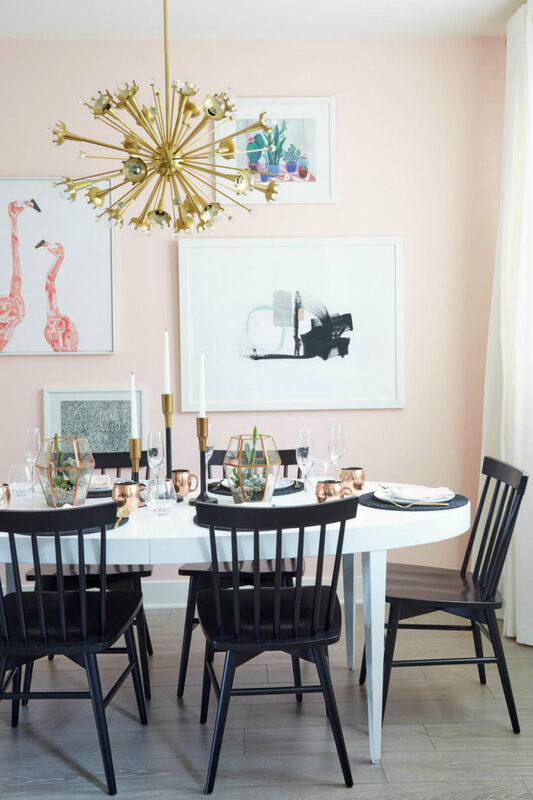 You may have the most basic furniture set, but if your lighting is spot on, the room will look and feel luxurious or at the very least appear stylish. 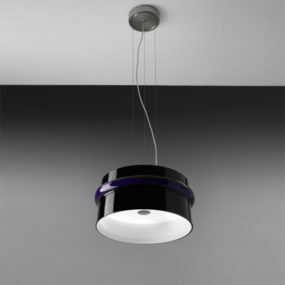 Light designs constantly evolve to achieve an ever finer balance between functionality and appearance. 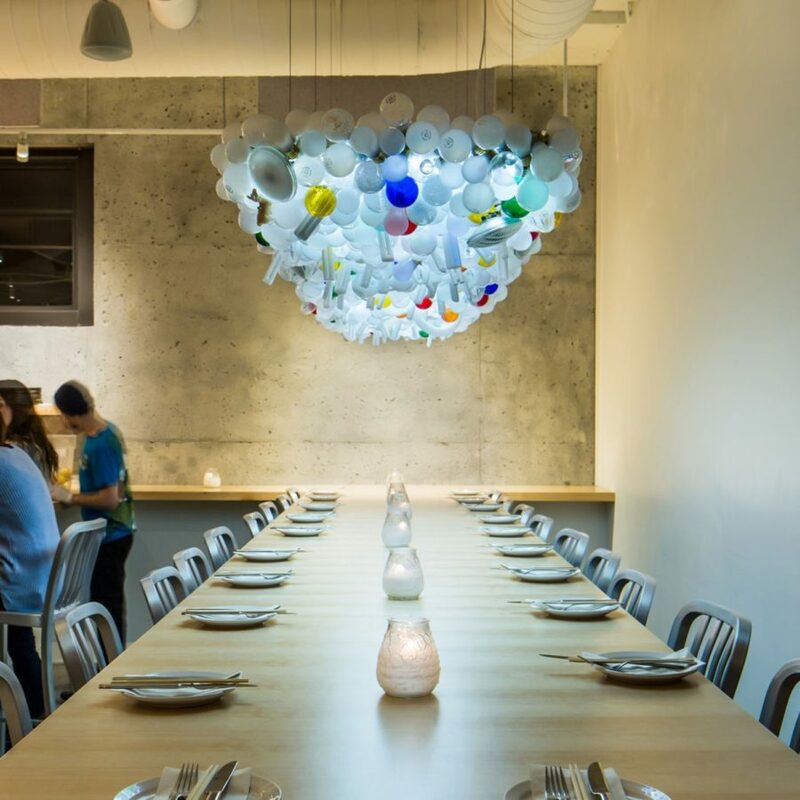 Following these dining room lighting ideas will help you make your eatery look perfect. 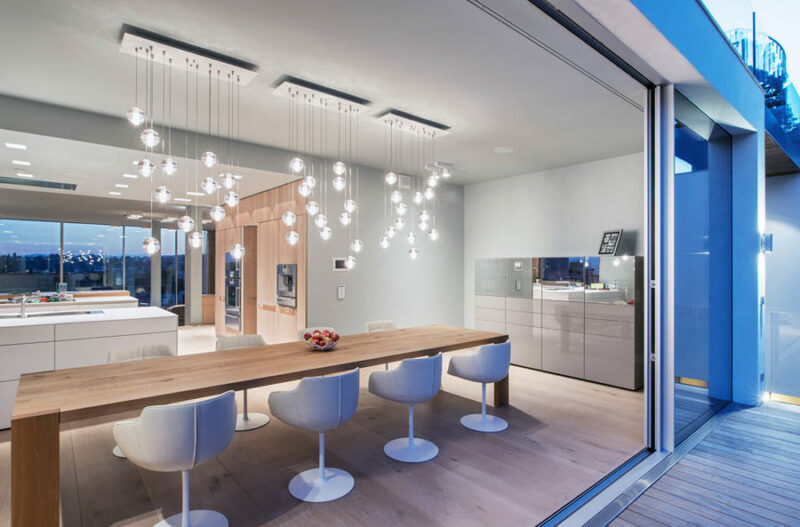 Chandeliers can seem a bit unapproachable and intimidating, especially if you’re dealing with modern and contemporary decor. 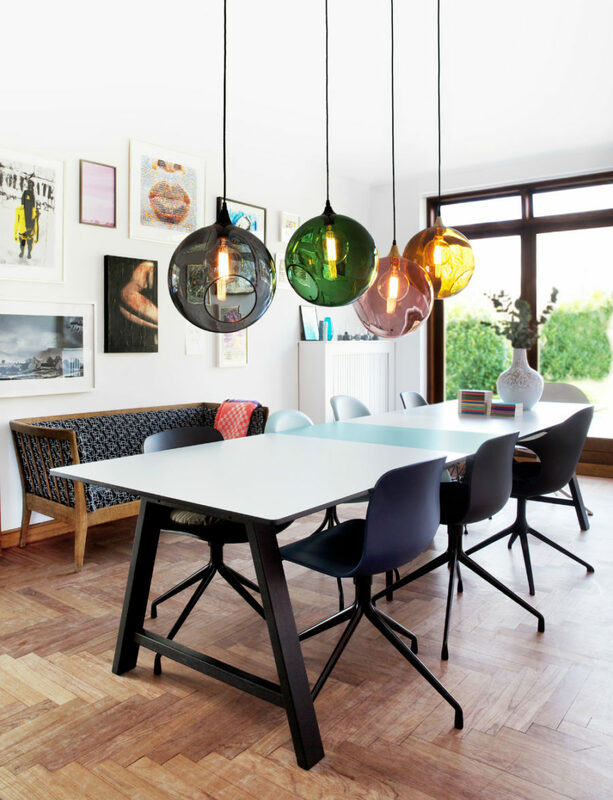 But despair not, modern chandeliers are more flexible, and can work in a variety of styles. 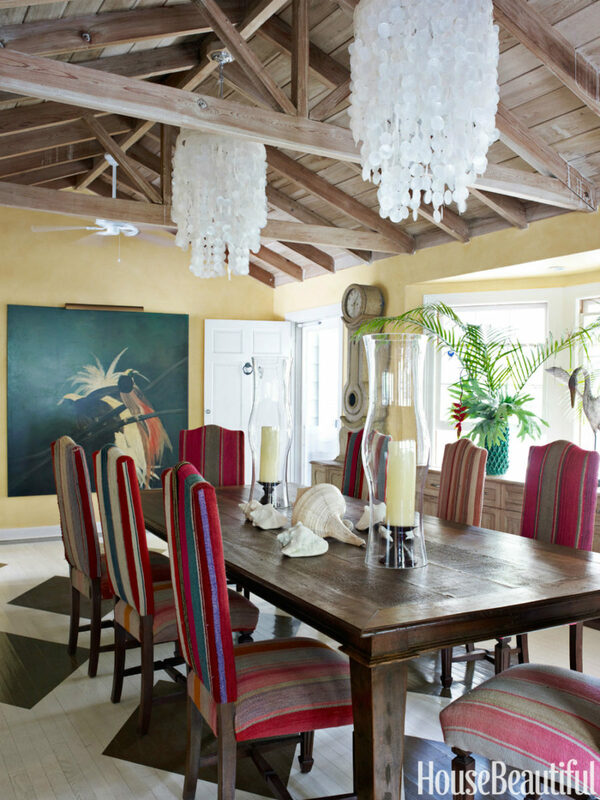 While crystal chandeliers can add a luxe touch to the room, too intricate pieces may not go well with ascetic or sleek contemporary decor. 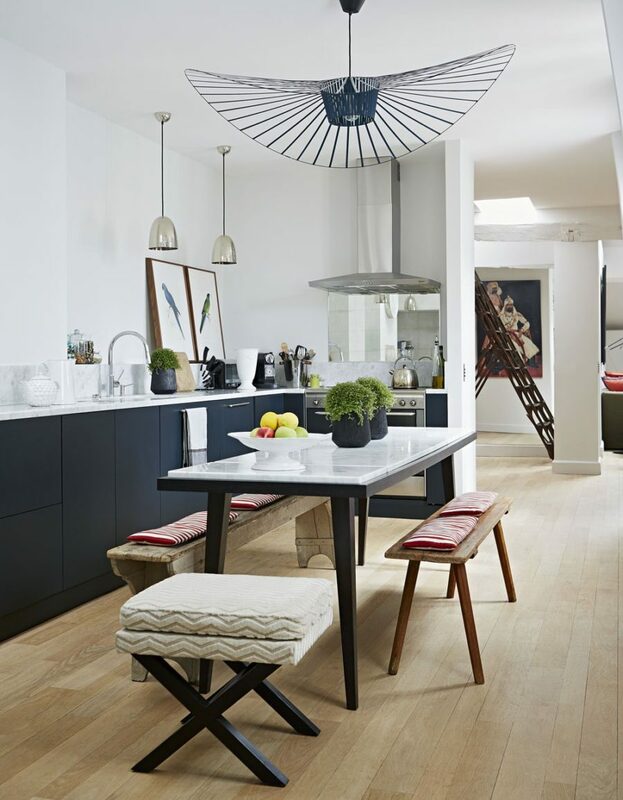 For the latter, opt for metallic designs or statement ceiling pendants to achieve a more organic look. 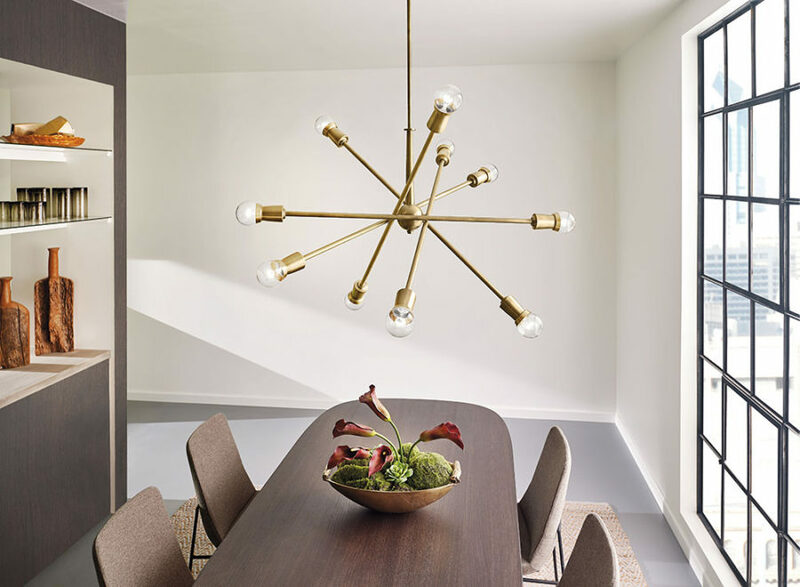 Vintage and modern sputnik chandeliers are among the latest trends in lighting, but you can also go for a romantic crystal ship shape, if your decor allows it. 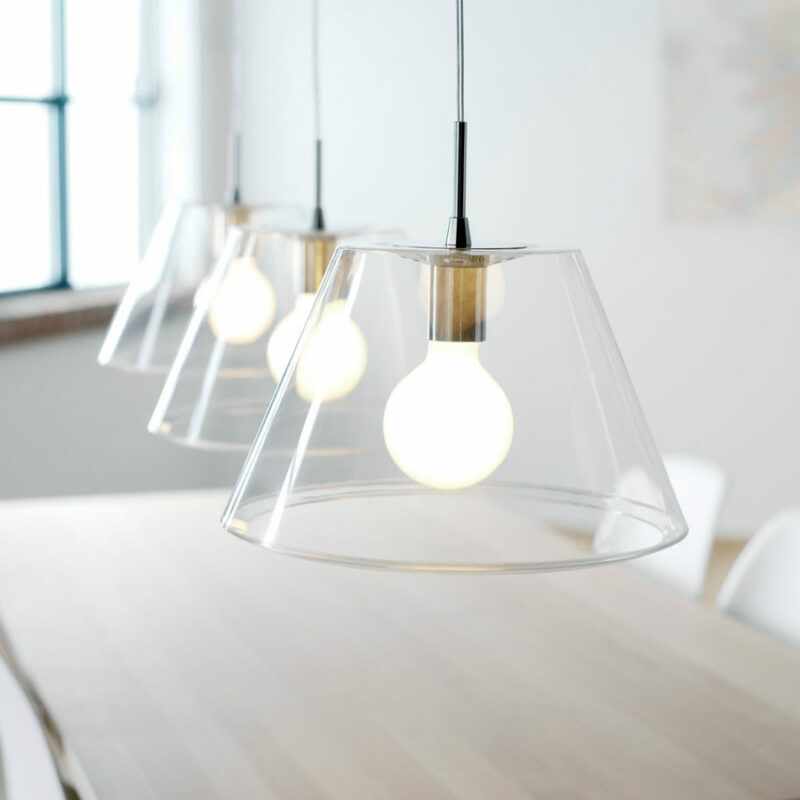 Pendant lights are the most versatile lighting fixtures. 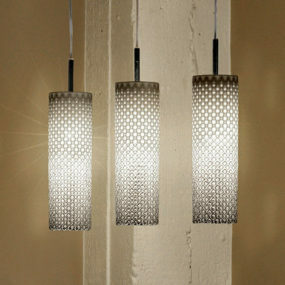 You can hang them over your kitchen counter, dining table, or anywhere in the house from bath to bedroom. 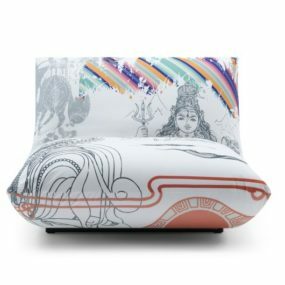 They come in a all kinds of shapes and styles as well as materials. 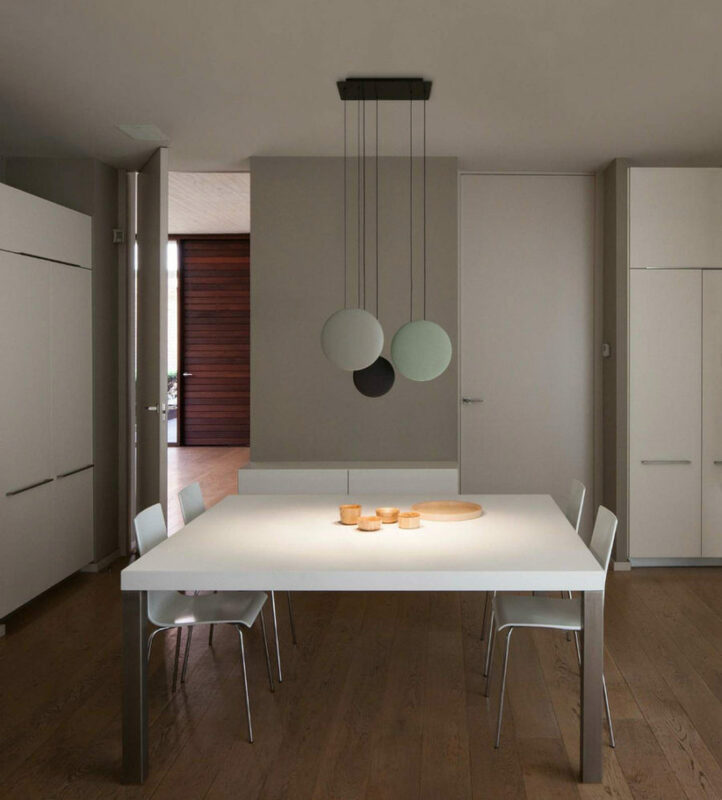 Colored glass pendants look especially good in minimal white interiors that lack color as do the wooden ones, but the latter create a different dynamic in decor. 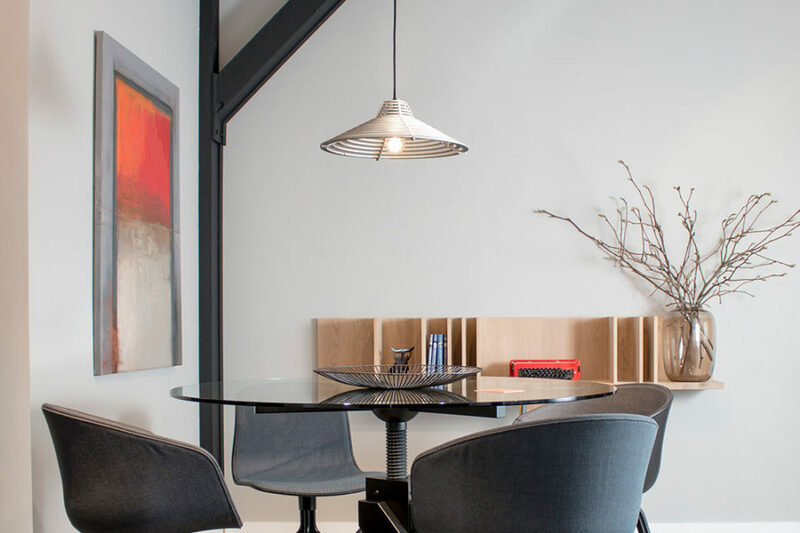 Old street lamp-style pendants or industrial lights bring the rustic feel to a modern dining room. 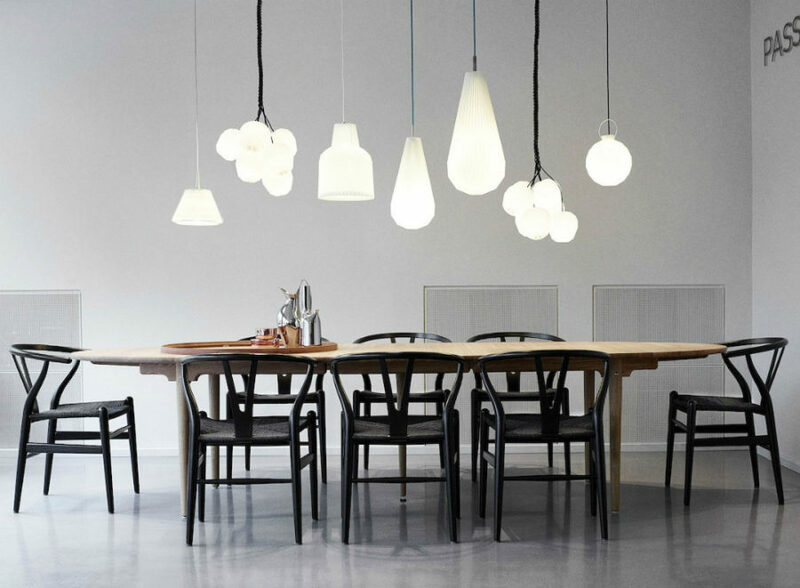 You can always rely on a certain aesthetic of designer lights. 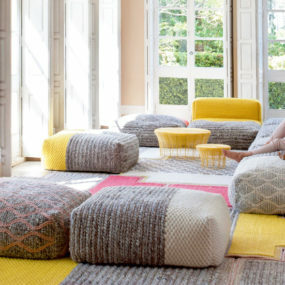 No matter where you use them, they will look instantly recognizable and stylish. 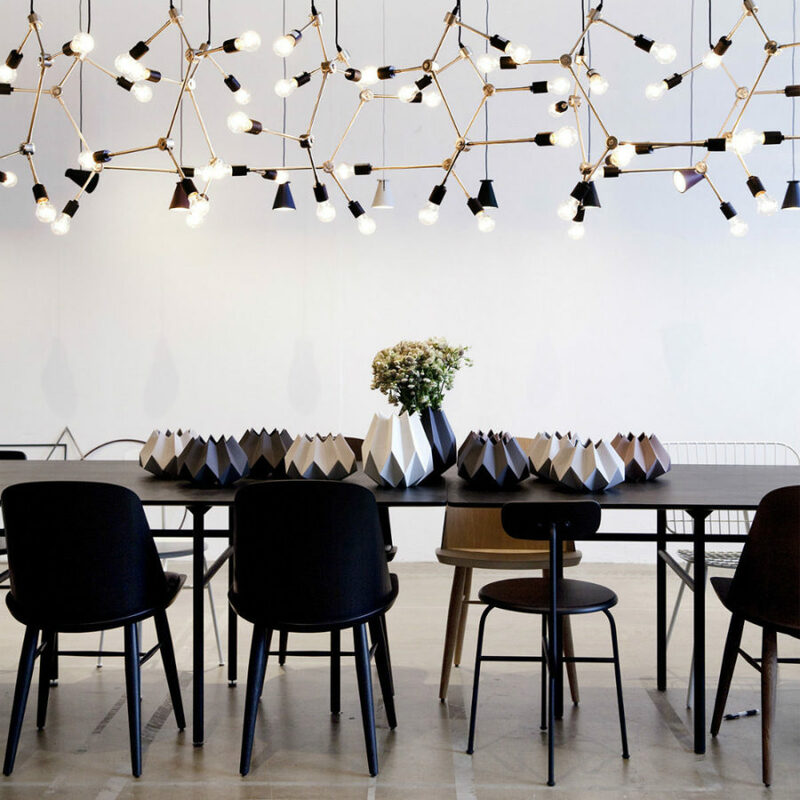 Take Tom Dixon pendants, for instance. They look great no matter the combination or area. 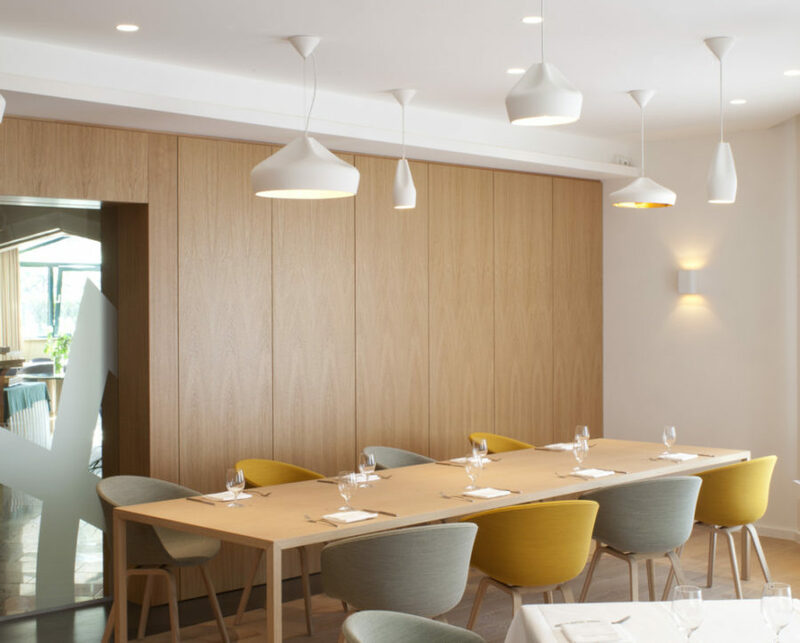 Similar Pleat Box lights from Marset can add more dynamic to the dining room with their fabric-like shades and various colors. 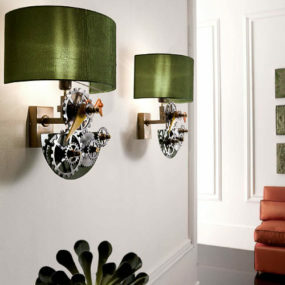 The designer lights tend to always be featured in interior design magazines, so it can be easier to see how you can work them into your own room. 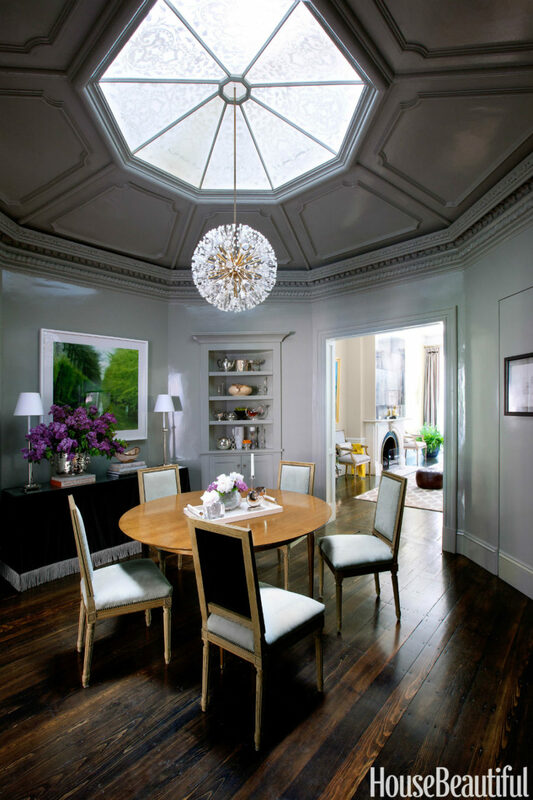 Dining room lighting ideas are encompassing a lot of interesting trends. Cage lights are one of those. 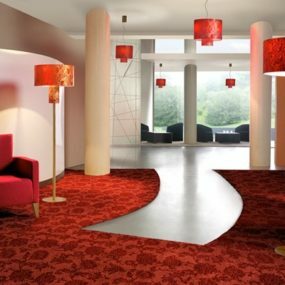 They come in graphic complexity as well as minimalism, and can stand on their own or be grouped into stylish clusters. 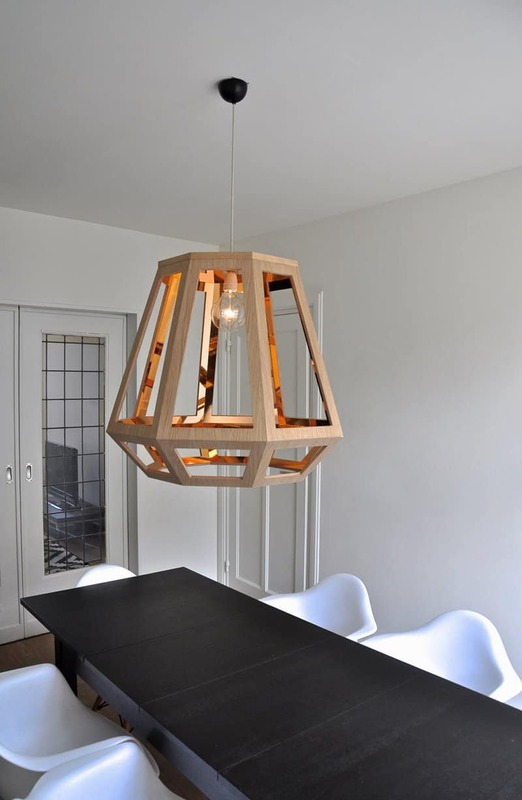 Cage lights have many uses, but they will look especially dazzling in a dining room, creating an unexpected dynamic above a simple wooden table. 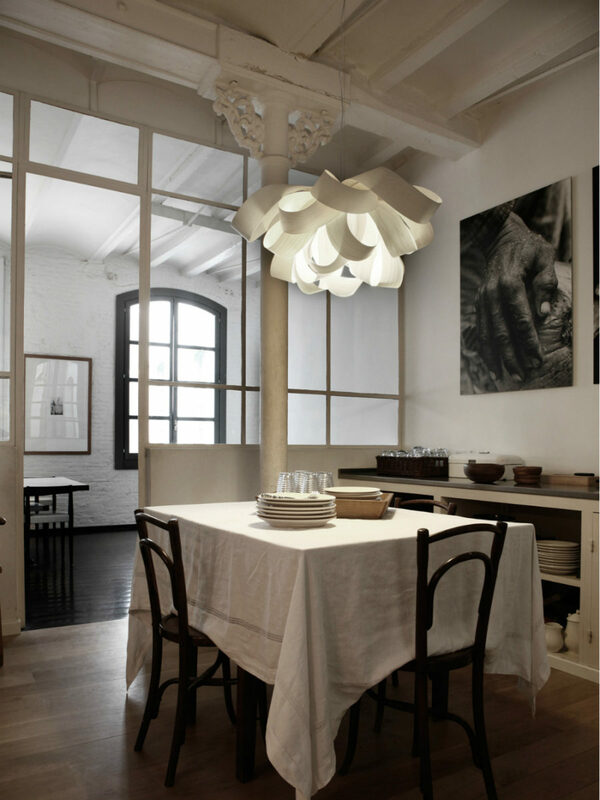 Wireflow from Vibia looks like an incomplete carcass of a light, and that not only gives it a fresh interesting look but also leaves the area above the table open and airy. 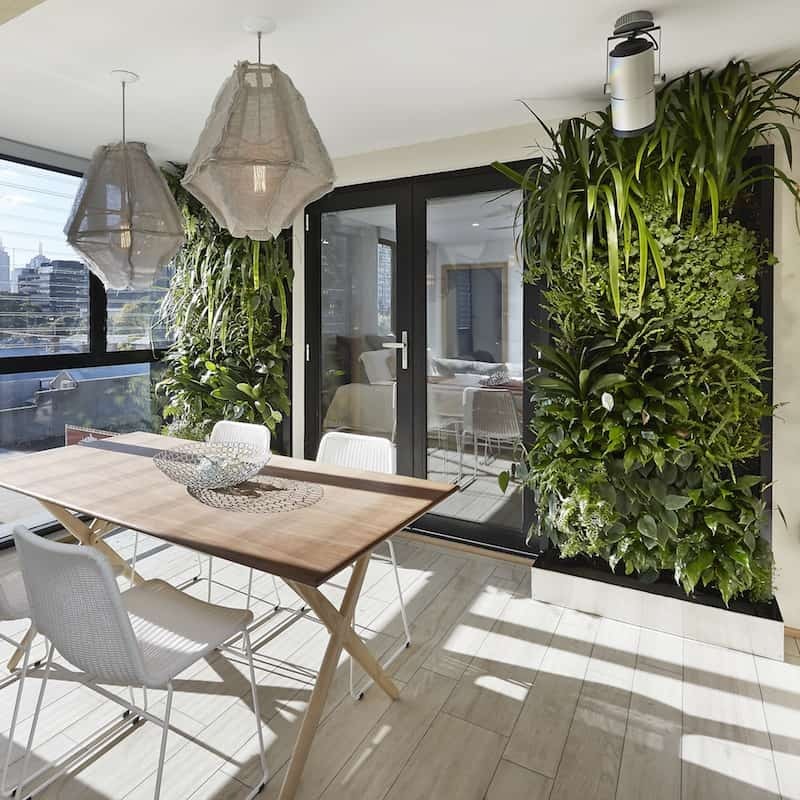 Great solution for low ceilings. Unconventional lights are all the rage now. They can come recycled or made out of fabric. Anything is possible. 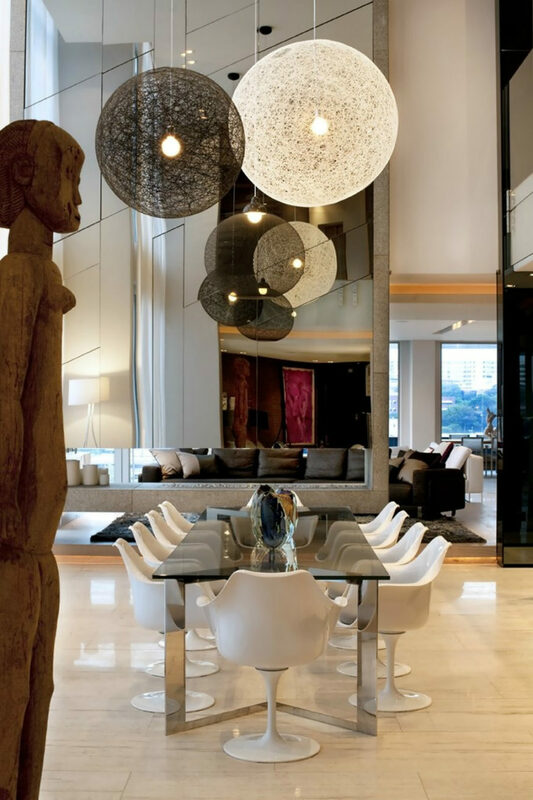 Experimental designs always take the focus of the decor, so make sure to keep everything else simple. 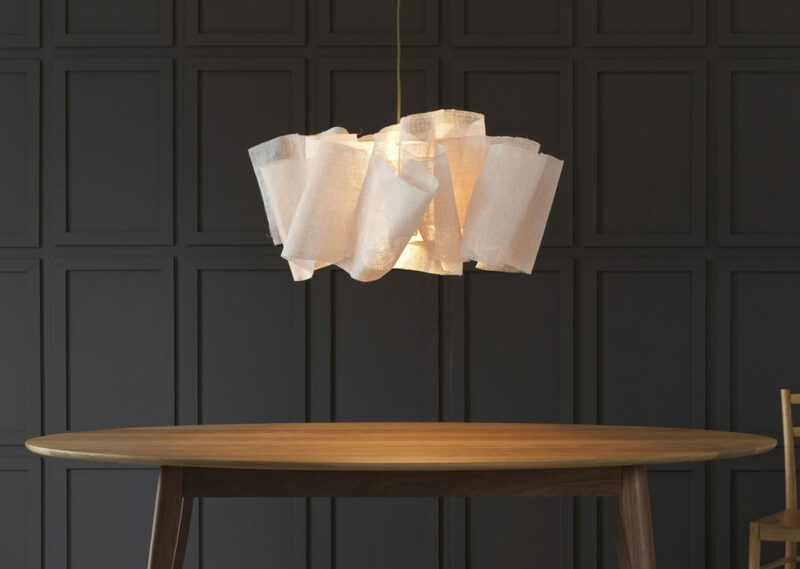 Lighting design has no strict rules, so you can find a lot of unique designer imaginings on the market. 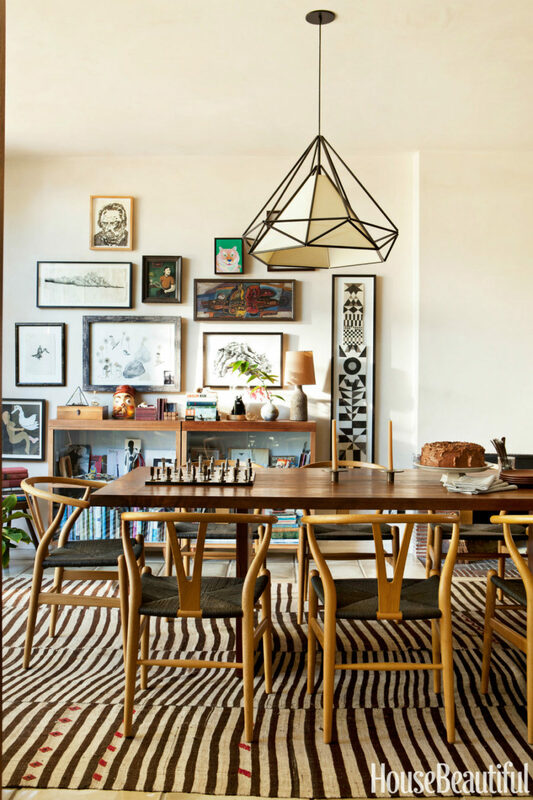 It may be challenging to incorporate those into a completely normal by-the-book interior, but a few other quirky details might just get you there. Simple doesn’t mean boring. 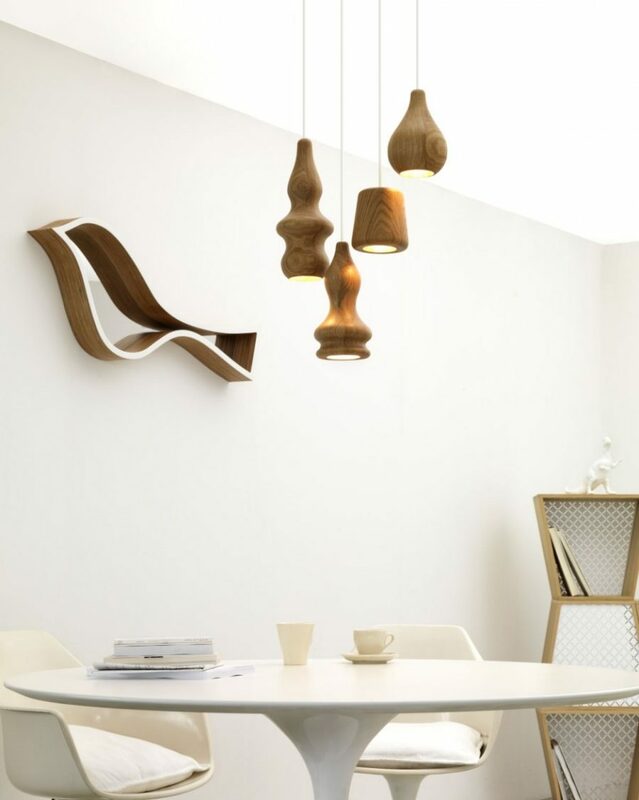 Such lights may just be minimalistically stylish. 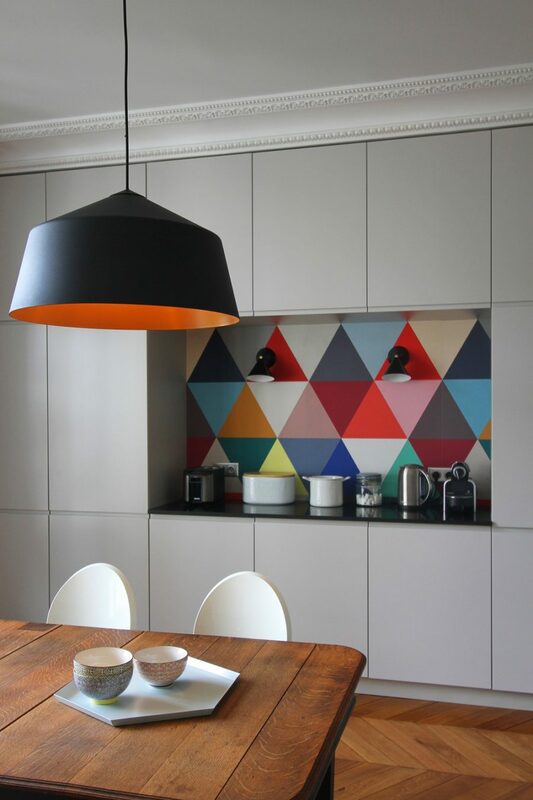 If your dining room has a feature wall or plenty of wall art, you may not need statement lighting to complete the decor. 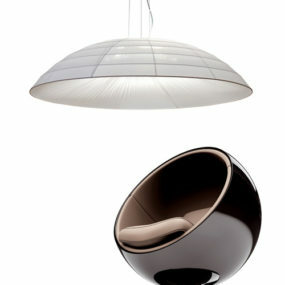 George Nelson’s retro futuristic lamps prove that lights don’t have to be overly decorated to make a statement. 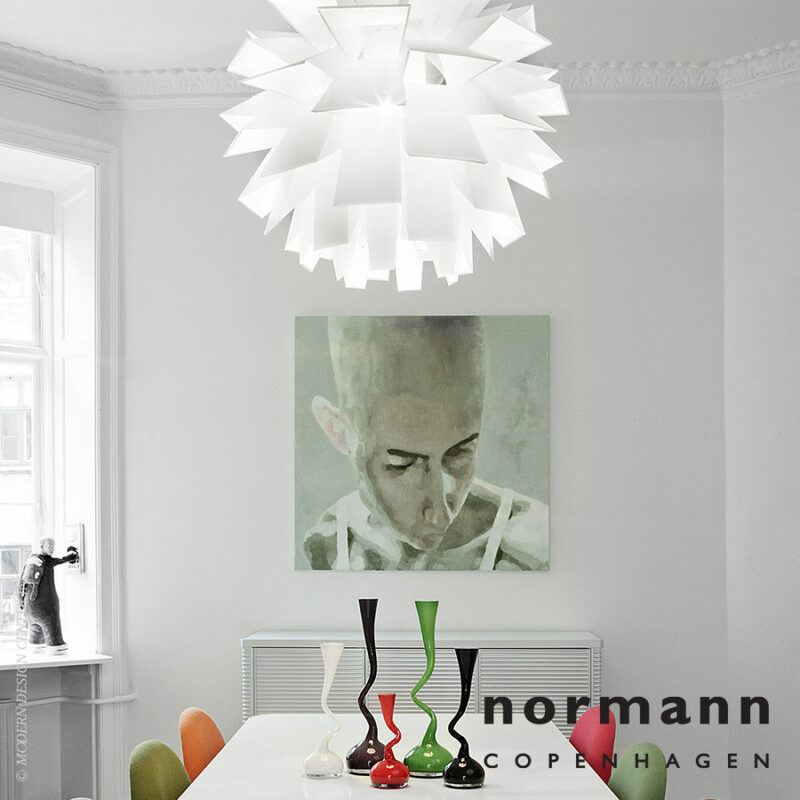 His Saucer Lamp immediately attracts the eye. 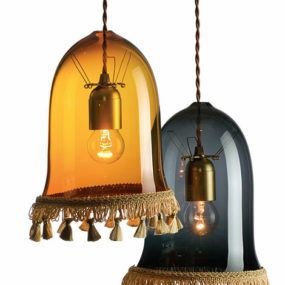 When you are decorating with intricate lighting, you can go either way about it. 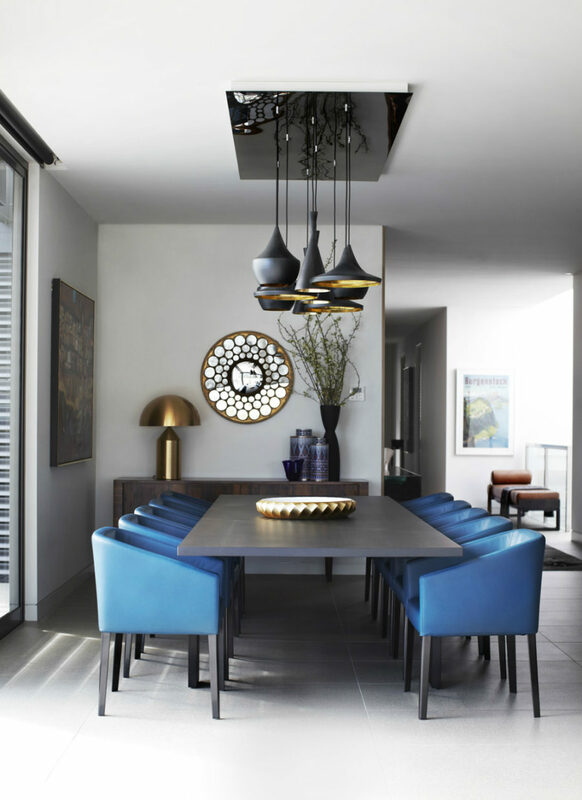 You can give your pendant or chandelier all the attention or complement it with color accents, creating layers of decor or playing on contrasts. 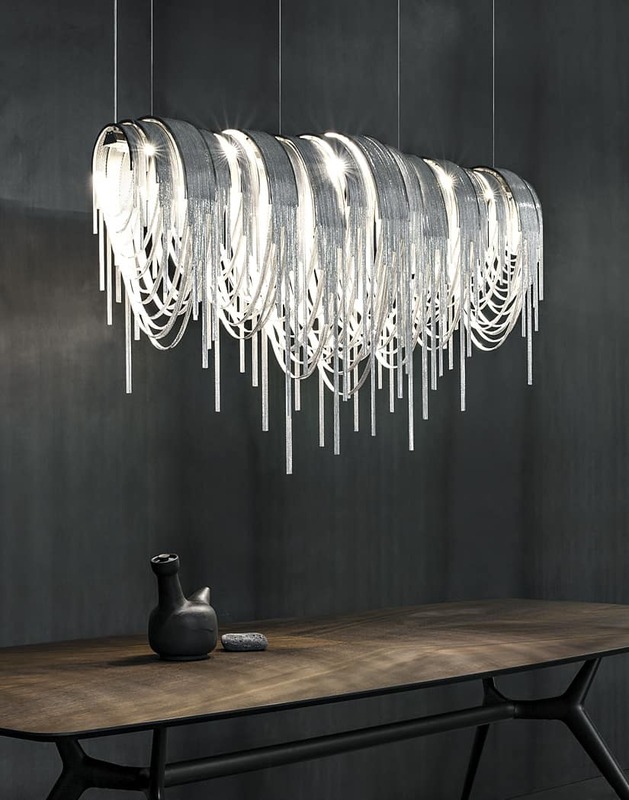 Volver chandelier looks simply stunning all on its own. And a sleek contemporary table only strengthens its beauty and complexity. 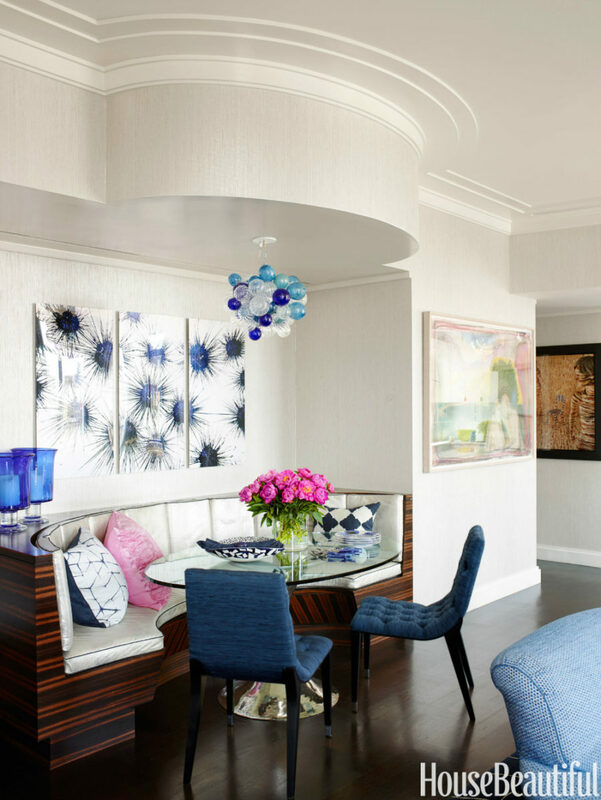 The small bubble pendant (in the top picture) made up of white, clear, and blue baubles is a perfect crowning accent for a blue and white dining area. 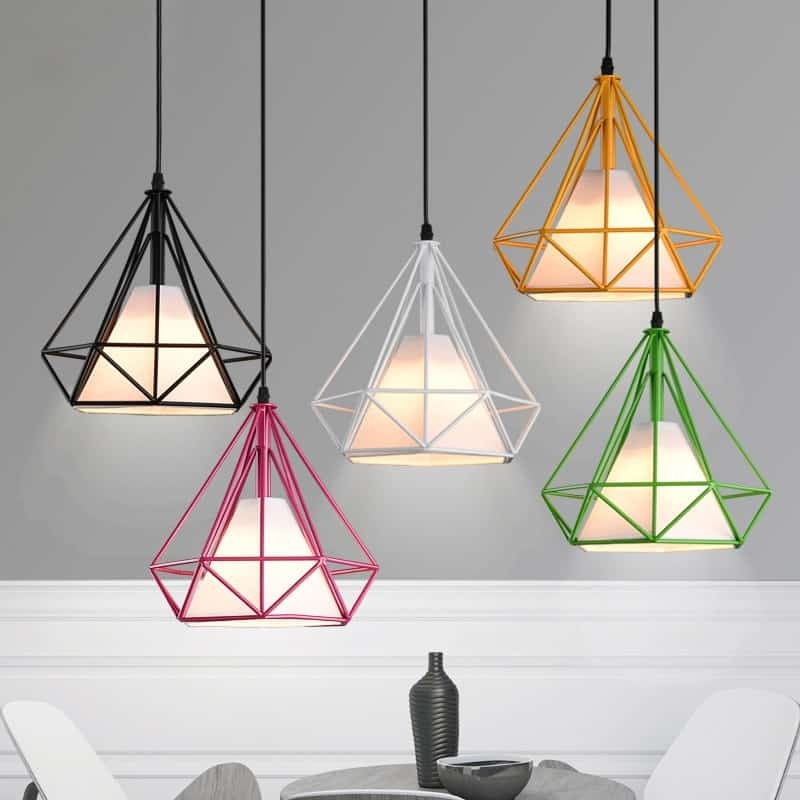 Clustered pendants have their own special charm about them. Some are held together at different heights with special bases, while others appear as bouquets of blooms bunched up for a richer look. 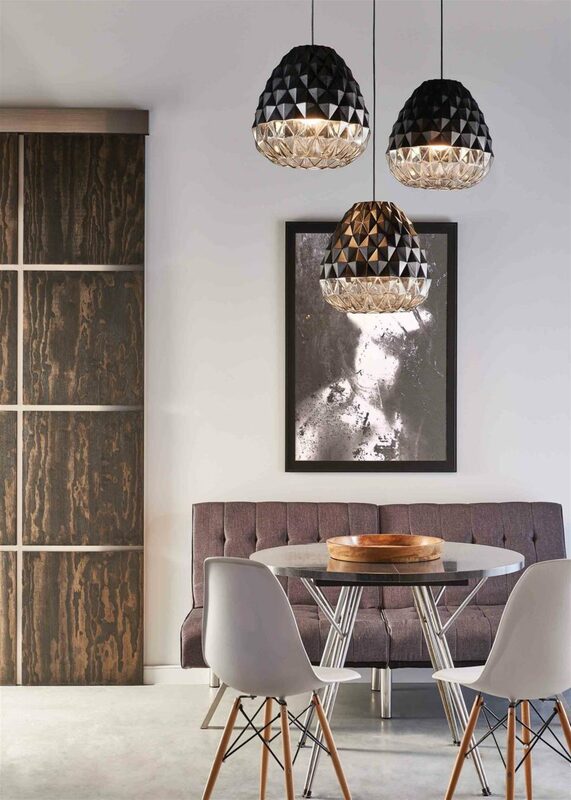 There is a lot of dynamic going on in a clustered pendant, so you can easily replace an old-fashioned chandelier with one to get the same amount of drama. 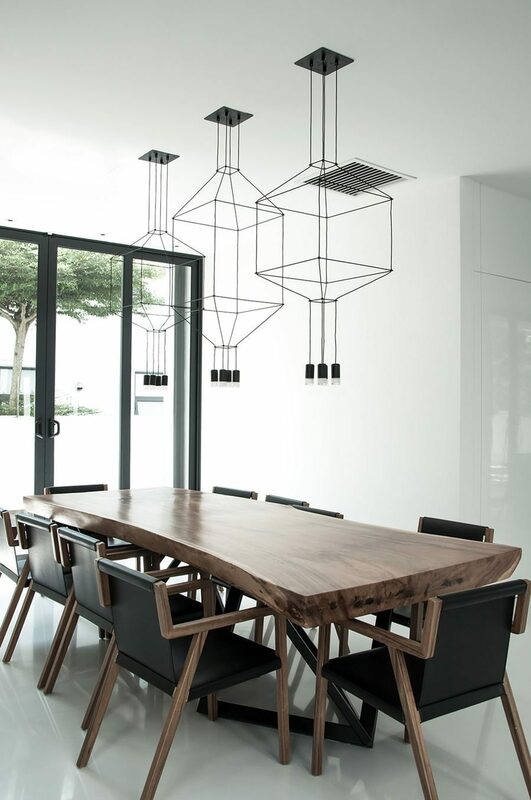 Long cluster pendants are great for formal dining rooms, while bunched up designs are ideal for round tables. 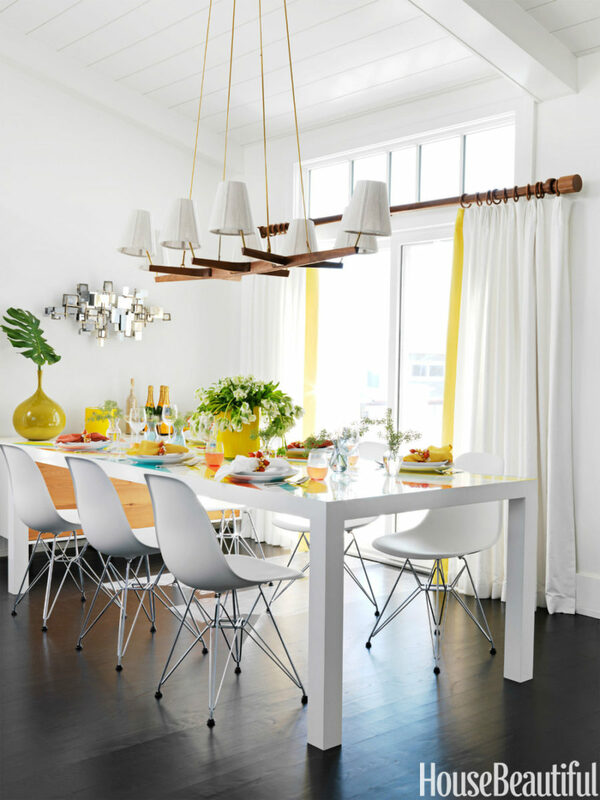 Contemporary dining room lighting ideas are all about quirky shapes, clear lines, jewelry refinement, and uniqueness. They make statements and attract attention. But they are also functional and bright. 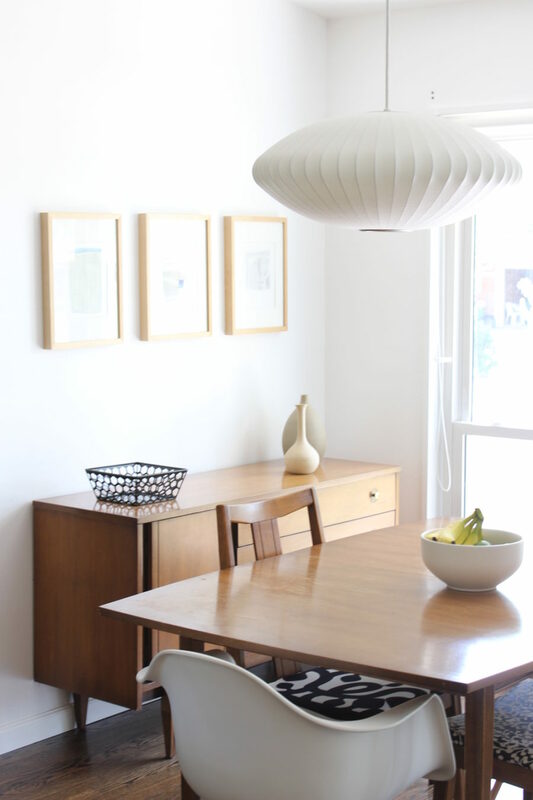 Just like that you can turn a simple dining set into a separate room/zone that has its own style and character. Besides statement pieces you can have a lot of fun experimenting with light grouping, height asymmetry, and additional decorating.